Turkey’s forces suffered heavy losses on Thursday during its “Operation Olive Branch” in Afrin, with the military announcing that eight soldiers were killed and 13 more wounded, making this the deadliest day for Turkey since the Afrin operation began on January 20. 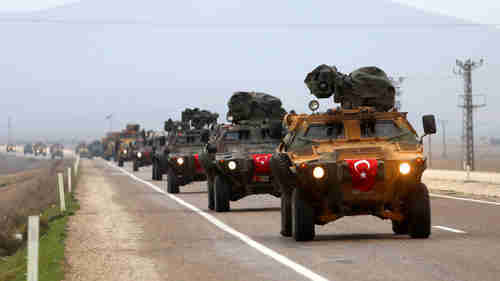 Turkey’s defense minister announced that, since the operation began, a total of 41 Turkish soldiers had been killed. Turkey considers the YPG Kurds to be terrorists because they are linked to the Kurdistan Workers’ Party (PKK). The PKK has perpetrated large terrorist attacks in Turkey in the last two years and has conducted an on-and-off separatist insurgency against Turkey’s government for thirty years. The U.S. and the EU also consider the PKK to be a terrorist organization, though not the entire YPG. The Kurds have set as a goal the creation of an independent state of Rojava along Syria’s northern border with Turkey. Turkey considers that objective to be an existential threat. Turkey launched the Afrin operation to thwart a YPG objective to establish the state of Rojava. Turkish troops are backed by an estimated 22,000 “moderate rebels” in the Free Syrian Army (FSA), while the YPG is estimated to have about 8,000 to 10,000 fighters in Afrin. According to Turkey’s defense minister, 116 fighters from the FSA have been killed since the operation began. Turkey also claims that 2,295 “YPG – PKK – ISIS terrorists” have also been killed. We trust our army, we have no doubt that they will succeed in their mission to fight terror. We cover the coffins of our martyrs with a Turkish flag. My citizens, let’s hang the Turkish flag on our homes, offices and working places until our martyrs rest in peace. I do not approve of an offensive into the center of Afrin because it shouldn’t be about capturing a city. Why did we enter the Afrin district [in the first place]? To eliminate terror organizations on our border. Once the Turkish army has taken control of Afrin, the plan is to move farther east and perform the same operation in the town of Manbij. The problem is that there are also U.S. troops around Manbij. 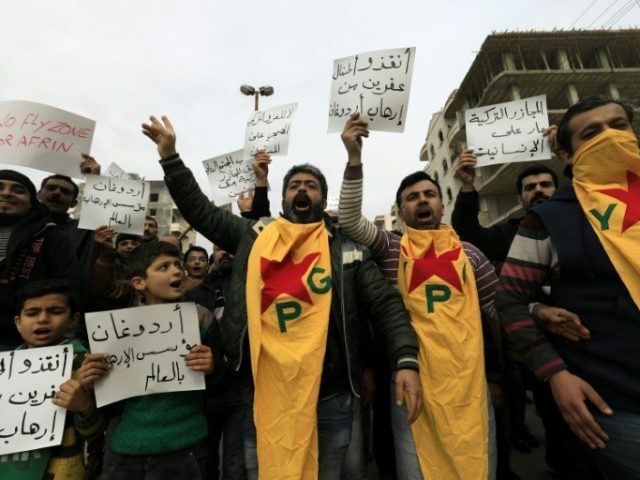 The YPG has been the main fighting force to defeat the so-called Islamic State (IS or ISIS or ISIL or Daesh), backed up by weapons, airstrikes, and training by U.S. forces. The recruitment of children, which is one of the six grave violations identified by the UN resolutions, is just one of the crimes against humanity committed by PKK/YPG. PKK/YPG has a bloody record of using land mines and toxic gas, using civilians as human shields, and targeting hospitals, refugee camps and civilian residential areas. Turkey took that statement to mean that the US and Turkey are allies and that the US and the YPG are NOT allies. We are very careful not to use that word [alliance] for the YPG. We are not using the YPG as an ally of the U.S. Our ally is Turkey and that is something that the Secretary [of State Rex] Tillerson emphasized in his remarks in Ankara. We have a long-term, enduring, historic alliance and partnership with Turkey and that is not going to change. The U.S. has made it clear from the beginning that our military cooperation with the YPG was a temporary, tactical arrangement aimed entirely at combating [ISIS]. We have made it clear that once ISIS was defeated we would have no plans for an enduring military relationship with the YPG and certainly no plans for an enduring political relationship with the Democratic Union Party [PYD]. That has not changed. This operation based on international law and our legitimate rights will continue to the end. [Giving] any day or date [when it will end] is out of the question here. [The operation will end after] the complete wiping out and neutralization of terror organizations. Wherever there is terrorism, they will be our target. Right now, Turkey’s forces appear to be bogged down in Afrin and this could mean that Turkey’s plans to move on to Manbij will never be realized.